This guide has been specifically designed with bartenders in mind. So if you’re a bartender and you want to learn about wine, this guide is for you. Heck, if you’re a bartender and you don’t want to learn about wine, this guide is still for you! Because whether you like it or not, you’re going to have customers who order wine. And being able to talk about wine with them on a sophisticated level is going to dramatically enhance their experience. A bartender without an adequate wine knowledge is missing an important piece in their repertoire. That’s why I believe it’s crucial that every bartender at least understands the fundamentals. From wine novice to ‘wine expert.’ This guide will teach you everything a bartender needs to know. And more… Even if you know absolutely nothing right now. When I first started learning about wine, I found it pretty confusing. There was a lot to learn, everything seemed extremely complicated, and I had no idea where to start. So I decided to ask some of my more knowledgeable colleagues what I should do about it. But that only made things worse. Instead of teaching me the basics, they spent hours talking about vineyards, terroir, gooseberries, and how the weather affected the wine that year. At the time, it sounded ridiculous! Especially to someone who didn’t even know the difference between a Cabernet Sauvignon and a Pinot Noir. All I wanted to do was be able to confidently talk about wine with customers and serve it like a pro. I didn’t care about how the wine was made or what the weather was like that year. I needed some direction. And I wasn’t getting any from these people. It seemed that all they wanted to do was complicate the subject further and show off their own knowledge. So after weeks of frustration and learning very little, I gave up and told myself that I’d learn about wine later. It wasn’t until a year later that I finally picked it up again. I had just started working at a venue specializing in French wine that employed a very talented sommelier (a waiter who specializes in wine service). With customers ordering expensive bottles of wine left, right, and center, it was clear that I needed to get this whole wine thing under control. So I approached the sommelier, told him about my previous frustrations, and asked him what I should do. And he told me something I’d been suspecting ever since I first became interested in the subject. It was the best advice I’d ever received. A few months (and a few bottles of wine) later, the world of wine had finally started to make sense. In fact, I learned so much so quickly, that some of the other bartenders had even started referring to me when a customer was looking for a wine recommendation… It was fantastic! When my sommelier friend told me to learn about the most important grape varieties first, he also went on to explain what I needed to know about those grape varietals. And the good news is that, as a bartender, you don’t need to know everything. You don’t need to know the specifics about wine regions, how the wine was made, terroir, or what the weather was like that year! Of course, you can explore those things if you’re interested. But you don’t need to. In part 1 and for the rest of this article, we’ll go through the basics: what wine is, what a grape varietal is, and why people are fascinated by it. In part 2, you’ll begin to develop the tools you need to explain the differences between wines. You’ll learn how to engage your senses by tasting wine, describing what you taste, and then pairing wine with food. In part 3, you’ll learn how to apply what you’ve learned in part 2 and start recommending wine to a customer based on their preferences. Then, you’ll learn how to serve that wine like a pro. And finally, in part 4, we’ll bring it all together and start honing your knowledge & skills by applying what you’ve learned to the most important grape varieties. If you’re anything like I was and that sounds complicated and confusing. Don’t worry about it! Because throughout the rest of this guide, we’re going to deconstruct wine’s complexities so that anyone can understand it. What is Wine and Why is it Interesting? Wine is basically alcoholic grape juice. The grapes goes through a process called fermentation that turns the grape juice into an alcoholic beverage. A grape variety is simply a type of grape. Just as there are different types of apples (i.e. pink lady, granny smith, golden delicious), and different species of birds (i.e. eagles, parrots, sparrows), there are different types of grapes. And we refer to these types of grapes as grape varieties. There are thousands of different grape varieties that are grown all over the world. And they all produce different types of wine. Some of them are ideal for producing light, crisp white wines, whereas others are perfect for producing rich, heavy red wines. On top of that, there are a whole bunch of other factors that affect how a wine turns out. Like the where the grapes were grown, the wine-making process, and even the weather that year. That’s why there are so many different types of wines out there. Even within grape varieties, the wines can taste totally different. But for the time being, you don’t need to know about that. 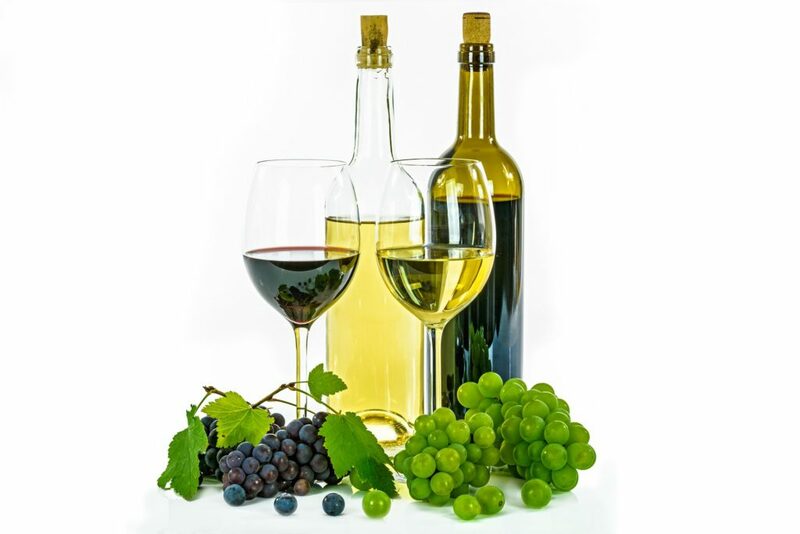 The most important factor that determines how a wine will taste is the grape variety. Which is why you need to learn about grape varieties first before you to look into anything else. Do you need to know about every single grape variety on the planet? Of course, you don’t. A lot of those grapes don’t even produce wines. There are only a few that you’ll find in everywhere around the world. These are the grapes varieties that my sommelier friend referred to as the most important. And these are the grape varieties you want to know well because you’ll always be serving them. I get this question a lot, especially from my non-bartending friends. And the best way I’ve learned how to answer it is by comparing a glass of wine to an orchestra. When a trained musician listens to an orchestra (or band) playing anything, they’re able to tune in to and listen to the different instruments playing. For example, they’ll be able to hear the violas, the violins, and the drums each playing their parts separately. Whereas someone who is untrained just hears the sounds altogether. They haven’t learned how to detect the individual instruments. Of course, they can still enjoy the music, but they can’t appreciate the music anywhere near as much as someone who hears the separate parts that make up the whole. A glass of wine is very similar. Except instead of using your sense of hearing to pick up different sounds and instruments, you use your senses of taste and smell to pick up different scents & flavors. Tobacco, chocolate, mint, citrus, leather, cherry, apple, pear and even sweaty socks are all flavors that the astute wine drinker can pick up in a glass of wine. To me, the idea that a grape completely unrelated to those items can replicate those flavors is fascinating. Then you’ve got drinking wine with food, getting drunk on vineyards, celebrating with a glass of sparkling, and seducing potential partners over a few bottles of Pinot Noir. And these are just some of the reason why people become completely obsessed with wine. Whether it’s because you’re a bartender and you’re actually interested in the subject. Or simply because you’ve realized that knowing about wine is an important part of your job. It’s great to have you on board. 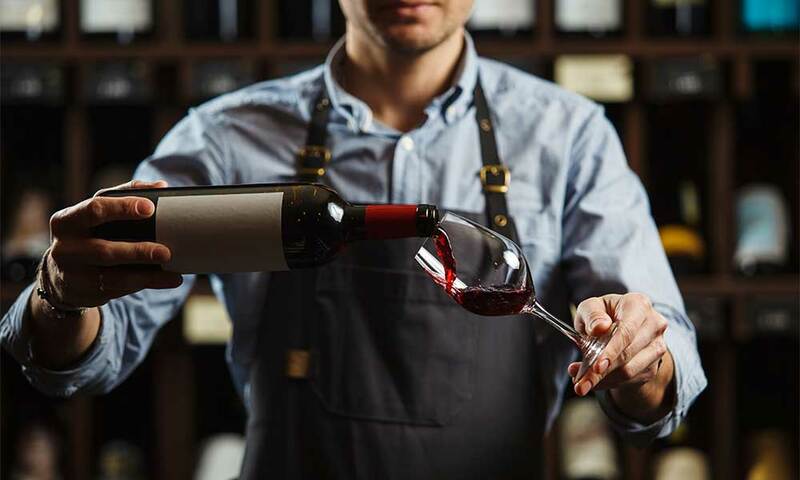 One of the side benefits you’re going to get from learning about wine is that you’ll develop skills that will help you in other areas of bartending. You’ll learn the principles of matching drinks with food. Whether that’s beer, wine, or cocktails. You’ll learn how to engage your senses of taste & smell when you taste anything. You’ll learn how to describe what a drink tastes like and how to recommend them to customers. And finally, you’ll start to learn what you like in a glass of wine. 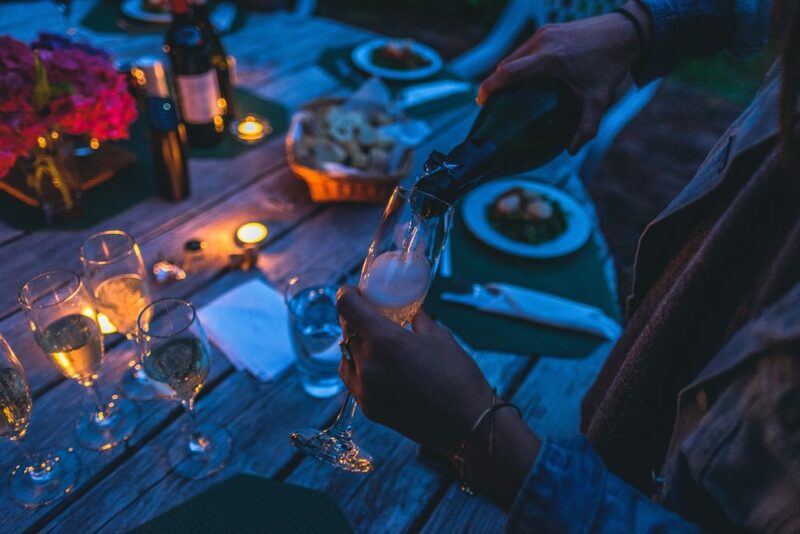 So the next time you’re out at a restaurant on a date or with a friend, not only will you be able to navigate the wine list like a seasoned expert, but you’ll also be able to find exactly what you’re looking for.